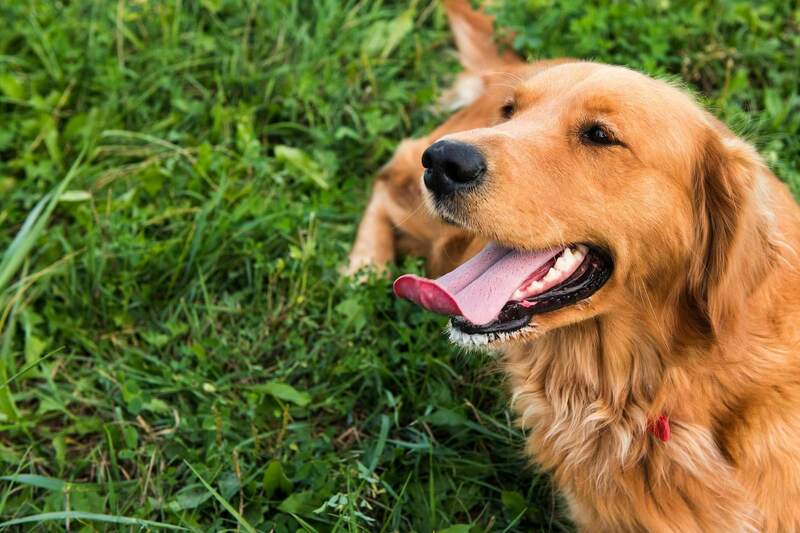 Golden Retrievers are basically very quiet and loyal dogs. They love to play with their friends. They were bred to retrieve shot down birds, but over time their sweet faces have made them popular amongst humans. Needless, to say, not all Golden retrievers are the same. Your neighbors golden might be extremely calm yet your golden might be highly energetic. Likewise, some have the tendency to bark a lot and can be quite aggressive. Now generally, barking may sound like noise to most, but it’s their way of communicating. Yes, just like us humans, they should know when to stop. Golden Retrievers also will communicate like any other dog does and that is done via barking. A dog has many types of barks that give a different message. Now to understand what your dog is trying to say is what you have to learn. For this, you will have to understand the pitch, duration, and frequency of the barking. High pitched rapid barking means your dog is in a happy mood. If he is barking slow or has aggression in his bark, it means he’s feeling threatened. If so, it’s important for you to remove the thing or person your dog is feeling threatened by. Just like we say to our dad when we want something, a dog barks to let you know he wants something. Here, you should respond or else he will feel neglected and may back away from you. Yes, if your dog emits a short high-pitched yelp, never neglect as this means he needs your instant assistance, he could be hurt as well. You want your Goldie to stop barking for no use. Then it’s time you teach him the ‘Quiet’ command. For this first, make him bark. Yes, go on tell someone to ring the bell or tell a friend to walk in front of the door. Take a treat and show it to him and tell him to be Quiet. Be stern yet simple. Don’t sound like your angry or yelling. Sound as if you’re telling the kids to turn off the lights. When he stops barking, give him the treat and follow this exercise till your dog listens to ‘Quite’ without any treats in your hands. Remember to stay calm as your dog may take time to learn. In between of training take a 10-minute break and do remember to give a treat when he stops barking. Never ignore the bark of your dog. It’s their way of telling you they want or need to tell you something. If he begins to bark, don’t respond instantly. Matter of fact, allow him to calm down and then let him know you understand what he wants. When your dog stops from barking, first give him a reward and then look into what he wants. Dogs are no different than us humans when it comes to receiving praises. On receiving a treat on stopping to bark, let’s them know they got a treat cause they calmed down and will do so in future to receive your praise. Golden Retrievers are too cute and when you come home from work, their jumping and barking may get you overwhelmed, but you have to teach them to stay calm as it’s not a big thing you came back from work. Also, this much jumping around means, he was not happy behind your back, that can be bad for their health as well. Make them learn to differentiate between coming home from work or from a trip. Yes, there are some rare cases where your dogs barking is actually due to their mental behavior. If you are unable to identify the cause of their barking, you can consult with your vet. You can also hire a dog trainer who can help you in training your dog for you. Last but not the least, your dog is no less of a child who not only needs your time but affection as well. If you spare some time and try to understand what he wants, you will be able to increase the bond you and your dog will share. Once your dog is able to trust you and you are able to understand what he wants, the barking will reduce.